Railpictures.ca - colin arnot Photo: UP 5500 and CP 9758 lead an oil train south at East Edmonton on CP’s Scotford Sub. | Railpictures.ca – Canadian Railway Photography – photographie ferroviaire Canadienne. 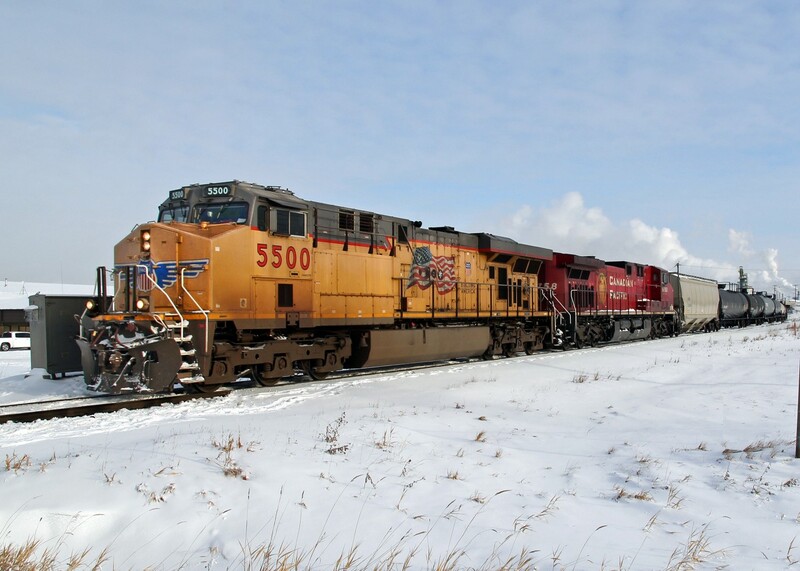 Caption: UP 5500 and CP 9758 lead an oil train south at East Edmonton on CP's Scotford Sub.